Am I an archivist or record keeper? Do students prefer school in a cloud? What is your district’s carbon footprint? Registration Gateway will be at Booth #1441! Stop by to learn how we provide a simplified solution to paper student registrations in your district. What does your school look like when the dust settles? 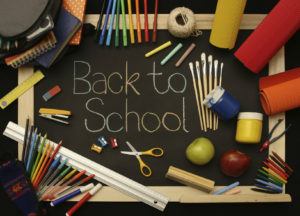 Let’s face it – going back to school is a drag for everyone involved. Kids whine, parents have to replace all the outgrown school clothes and fill out all the paperwork, but the school staff have it worst of all – they’re left with the kids still sluggishly getting back into their school routine AND the mass amounts of documentation that comes with them. Registration packets may seem easy from the parents’ point of view, but registrars must tap into their inner cryptologists to decipher thousands of different handwritings, make calls to summon parents who left blanks in their paperwork, and then delegate all the paperwork to the proper person or file without losing a single sheet of paper. And that’s not even the half of it. For most school districts, school choice is decided by a complicated set of factors, not just the potential students’ residential addresses. Economic status, special or gifted education needs, older siblings already assigned to a specific building – all these reasons and more can be used to assign students to the proper building within a district. This can be a slow, tedious, error-riddled process during registration time, because secretaries and registrars must work as fast as possible to make sure every student has a seat in their school on the quickly approaching first day. Throw in all the parents who register their kids on the last acceptable day and you’ve got utter chaos. Once the registration information has been given and the students have been delegated to their proper buildings, those enrollment documents still have a long way to go before they can rest in their folders back in the main office. Copies of medical information must be made for the nurse, who must then relay health information to cafeteria staff, athletic staff, and to specific teachers. Address information must be given to transportation, and bus routes must be made quickly and with the utmost efficiency. Teachers and aides must be given student information pertaining to any specific needs of the children under their supervision. After the chaos of registration is over, and all the students have a seat on their bus, in their classroom, and away from any allergens in the lunchroom, the documents must be sorted into their proper homes, usually within large file cabinets near the secretary (who may be looking a little too weary for just the first day of school). Schools using a paper-based system have become very used to the whirlwind of tasks that comes right before the onset of a new school year, but there will always be mistakes. Parents will always leave blanks on forms, secretaries will always make typos when translating parent handwriting, and paper will always tear or go missing. So it’s time for an intervention. It’s 2016 – it’s time to go digital. There are now highly sophisticated software solutions that allow technology to handle all student data from registration information, to automation of school choice decisions, to storage of student information in an easily accessible yet intensely secure digital warehouse. It’s too accessible and secure not to switch to digital document storing, just ask the East Baton Rouge School Parish System, who just last year had a case of confidential student files stolenby an employee and hidden for over a year – some files are still missing. It’s too inconvenient for staff not to allow parents to register their children for school online (and the parents won’t complain, either), just ask the registration staff from Millburn Township Public Schools, who have eliminated months of staff effort and manual data entry in preparing for student registration by implementing Registration Gateway. It’s too simple and honest not to ensure the fairness and equality of a school lottery process using technology, just ask the American Civil Liberties Union of Southern California and Public Advocates, who just this month have flagged 253 charter schools for using discriminatory admissions processes. How can software solutions help with these processes? Online portals can allow parents to enter registration information, including school choice preferences, which immediately becomes available for review by the secretary at the office. With thorough digital processes, parents cannot move on to the next phase of registration without filling in all information deemed necessary by the school. Handbooks can even be scanned and made available during this process, saving a few trees and ensuring that parents must go through every page and accept the school’s terms and conditions. This saves a ton of money in paper and printing costs for school districts and simultaneously gathers the signed contracts from the parents. This is just one example of the flexibility of new digital record technology. What sets certain solutions apart from cookie-cutter digital forms is whether or not this information can flow directly into the SIS. As aforementioned, each school district has a unique way of setting the rules for their student lottery. This may be to ensure that bus routes are as efficient as possible, or to make sure that each building within a district has the same amount of students receiving free and reduced lunch. School choice automating software uses algorithms to take a district’s specific rules and apply them fairly to students entering the lottery. It assigns a “weight” to each student measured by the factors determined by the school, and this allows the system to decide in which building the student should be assigned. This prevents parents from crying foul play if their child doesn’t get their first choice. It also prevents school personnel from tampering with the fairness of the process. 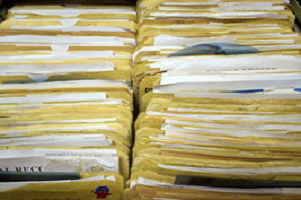 Finally, record-keeping software can provide a digital warehouse where each student’s file lives – saving a lot of space in the office previously inhabited by filing cabinets. It stores every document within the system, from the photocopy of the guardian’s ID card to the photo waiver that needs signing in order to take pictures of the kids during school. In short, every piece of data that has been in paper form – report cards, detention slips, hearing and vision tests – can now be stored online. This means that piece of paper with Johnny’s allergies – the one that went from doctor to parent to secretary to school nurse to cafeteria staff to teacher and back to the file – has simply been online the whole time. No photocopying, no lost documents, no liability. There are a thousand reasons to go digital, but only one solution to all these issues – and that would be the Gateway Suite. School districts across the country are going digital to better manage time-consuming administrative processes such as student enrollment, payroll and data storage – and in turn, are saving money and time. Using Xerox Corporation’s (NYSE: XRX) DocuShare® Enterprise Content Management (ECM) Platform administrators are able to focus their energies on what matters most – educating students. With 21 schools and 15,485 students, Walled Lake Consolidated School District in Michigan uses DocuShare to simplify the student registration process. Together with partner SRC Solutions, Inc., Walled Lake implemented Registration Gateway, an online enrollment system built on DocuShare. The district reports data entry accuracy has improved by 90 percent in just six months during its trial period. After a fire destroyed the administrative building of the Upper Merion Area School District in Pennsylvania, the board contracted SRC Solutions to scan and organize more than a million documents into DocuShare – securing essential data while eliminating the need for external storage facilities. The school district further benefited from DocuShare by improving workflows in its purchasing and HR departments, where all purchase orders and employee information are now scanned and digitally archived. This has significantly increased efficiency by speeding user access, allowing electronic distribution and notifications, and producing PDF files so documents can be searched and retrieved in seconds. Kawartha Pine Ridge School Board in Ontario, Canada relies on DocuShare to automate paper-based processes including payroll records, student registration forms and teaching manuals. For example, the district has reduced the manual, three-day processing of its monthly cell phone bills down to one step with DocuShare – which quickly scans more than 380 bills and distributes them accordingly. The school board also uses DocuShare to securely share and update information for its 33,000 students and 3,500 employees. About SRC Solutions With more than 5 million enrollments processed each year for schools, businesses and governments, SRC Solutions is the global leader in online registration. Founded in 2001, the Pennsylvania company is a Service-Disabled Veteran-Owned Small Business (SDVOSB), which specializes in identifying cumbersome, repetitive and counter-productive work practices and replacing them with easy-to-use, innovative digital processes. As a XEROX® Platinum Partner and an authorized reseller for Kofax, Surety and Recruit Manager, SRC provides solutions for both the public and private sector, including document management, workflow improvement and integration into numerous ERP systems. SRC Solutions: Breaking the boundaries of paper. Find out what Central Records Gateway can do for your district. Register for a free demo today and see the immediate cost and time saving benefits to your school.